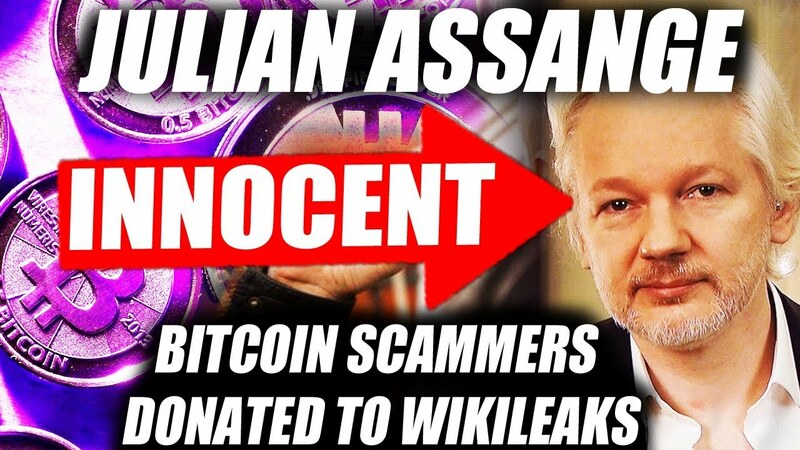 WIKILEAKS & JULIAN ASSANGE Donated Bitcoin By SCAMMERS?! JULIAN ASSANGE IS INNOCENT! I DISCOVERED SCAMMERS DONATING BITCOIN TO WIKILEAKS! the wallets i found can bee seen in this video and it all can be verified by anyone, as we all know bitcoin is open and transparent you cannot hide anything. In todays video i also look at important questions like is Julian Assange innocent? In my opinion yes, i believe telling the truth should not be a crime. yesterday i made a video regarding the Bitcoin dip caused by Wikileaks dumping Bitcoin. This video is Very similar to parts 1&2 of that video. Its very clear with the timeline of events, the wallets, and the application of a little logic that Wikileaks is responsible for the dip. They had a MASSIVE amount of Bitcoin that was at the very least worth $20 million USD. With Julian Assange getting arrested it makes a lot of sense they needed to sell there BTC in order to pay for the massive legal fight ahead. Julian is someone who is an interesting character i am not commenting on whether julian assange is guilty and deserves to be arrested but i do thing that the police are handling it poorly and it is very political. Julian has held a lot of bitcoin since the early days in his bitcoin wallets. Fake Forex Insufferable Instagram Fake Forex Instagram Insufferable this video is not about Fake Forex traders, its not about being a bitcoin millionaire but it could well make you a bitcoin millionaire. all you need is one bitcoin!